Talked to the Wildlife biologist today. 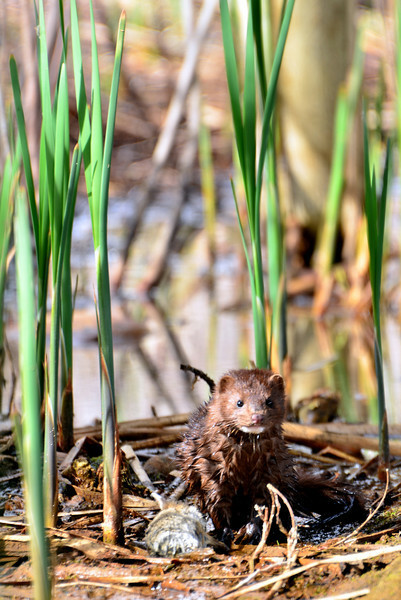 This is a Mink! My first sighting of one ever. OMG he is really cute! What a FANTASTIC CAPTURE! Perfect timing wow. I've never seen a mink before either. Really great! Just love seeing this little guy...I have never seen anything like him before. Great capture. Great shot -- wonderful how you caught him looking right at you!